Video entries are now open for the most badass, big-air Kiteboarding contest in the world. 2019 will see the top nine from last year, go up against nine riders chosen from the video entries contest and wildcards. 2018 was not only special in the way that it was only the second time a rider claimed a second title (Aaron Hadlow won back-to-back) but it also saw a move from Big Bay in Blouberg, to Kite Beach. This move was made after Sportive Director Sergio Cantagalli and his team wanted to give riders an even better chance to perform at the highest level in the best conditions. The unprecedented move was a hugely popular decision among the riders and proved a big success. 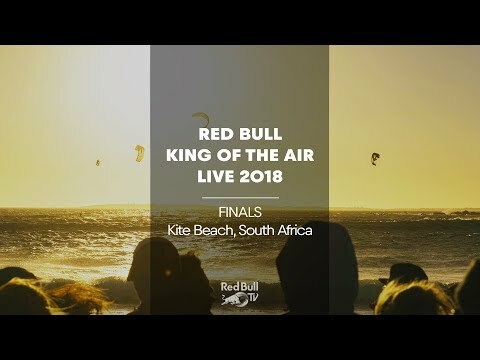 Kite Beach will be the home of Red Bull King of the Air for the foreseeable future. The event takes place between the 26th of January and 10th of February in Kite Beach, Blouberg, Cape Town. For more details, please visit the official website.